King County Search Dogs and Seattle Mountain Rescue visited the John Muir School in Redmond earlier this year. They read a story about search dogs as part of a reading promotion program and then did a demonstration where some of the dogs searched for teachers hiding in the playground. 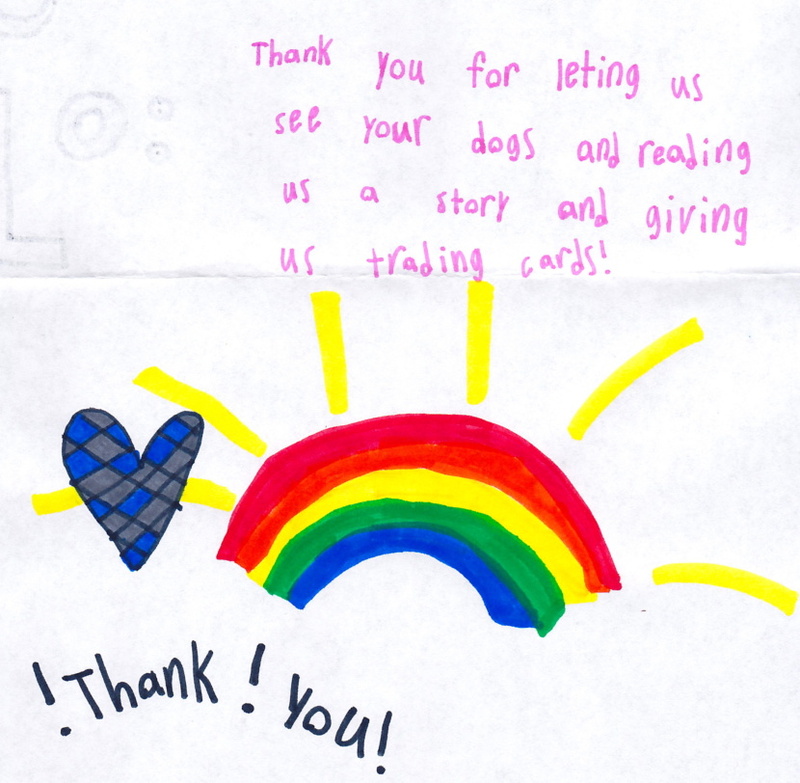 Everyone had a good time judging by the many thoughtful thank-you notes the children sent as you can see in the sample below. If you are interested in having King County Search Dogs participate in a program at your school please contact us at info@kcsearchdogs.org. Click here to see more thank you notes and photos.